Click on the Billing icon in the lower right. Select the family you want to issue a credit for. Click on the blue icon in the upper right, then choose "Add Credit". Fill out the details of the credit and save. 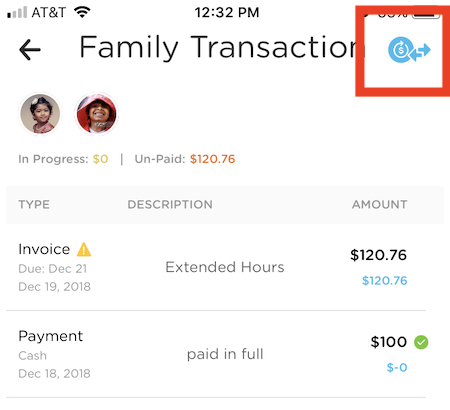 If you need to make changes to a credit, go to the family account page and click on the credit. Then select the vertical ellipsis (...) in the upper right and choose whether you would like to Edit or Cancel the credit. Once a credit has been cancelled, it can be completely deleted by clicking on it again, selecting the vertical ellipsis, and choosing the Delete option.